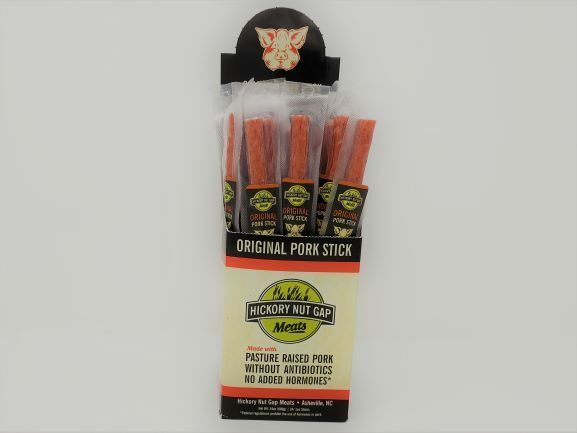 Made from North Carolina pork that is raised on pasture without antibiotics or added hormones, our new pork sticks are here! 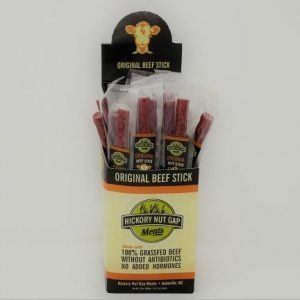 These meat sticks are great for on-the-go and are shelf-stable for up to a year. 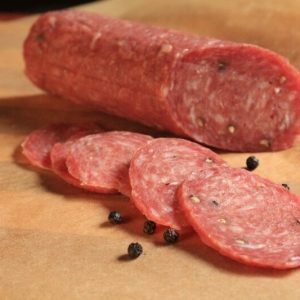 They also come in an easy-open package, so you’re that much closer to enjoying this tasty snack! 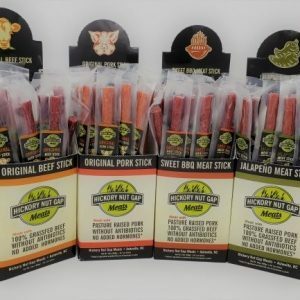 Ingredients: Pork, water, sea salt, brown sugar, encapsulated citric acid, cultured celery powder (celery powder, sea salt), red pepper, black pepper, white pepper, granulated garlic, coriander, onion powder, stuffed in beef collagen casings.